As tourists flock to South Norwood ignoring the bland offerings of the Crystal Palace Triangle, it becomes important to establish clear borders so the unwary tourist does not wander off into the tumbleweed of Anerley and Penge.This bridge 527 marks the boundary with Anerley on the Penge road and SNIB have a presence there soon to ward off the increasingly desprate tourist touts from the Triangle. Head straight to Portland Road dear tourists. 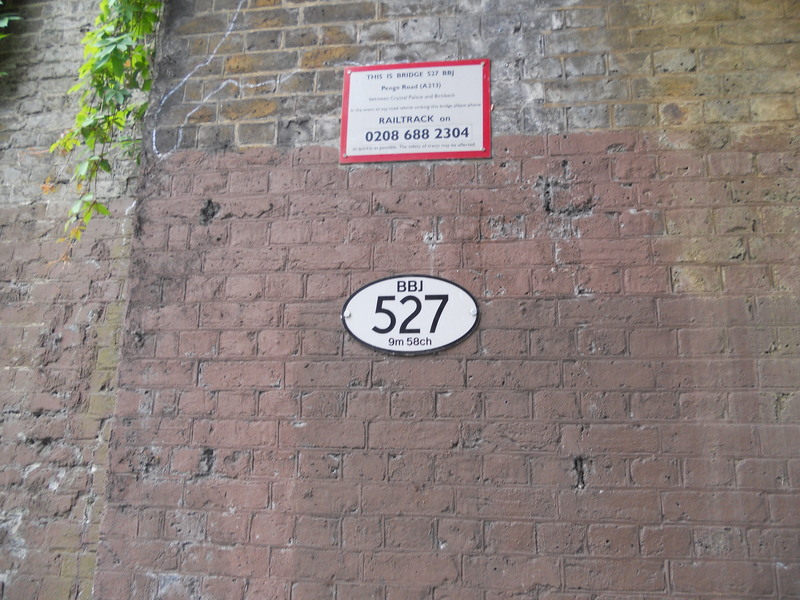 We will be publishing photos of all railway numbered bridges in South Norwood very soon for you eager collectors of bridge numerabilia.